Ronald Leith Lock passed away at his residence on March 21, 2018, just 10 days before we would have celebrated his 90th birthday. He was born on March 31, 1928 to Harry and Florence (Gerber) Lock in Waterford Wis. He came to Racine at the age of 8 and is the last survivor of his family of 6 siblings. In his younger days he loved to swim and water ski. 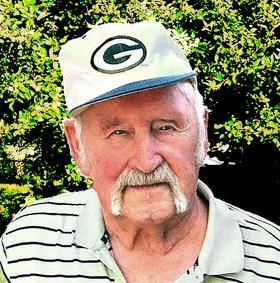 He played softball, golfed and bowled in many Racine leagues. He served in the Korean War (United States Army Signal Corp) from 1952-54. He was in Germany for 1 year and his rank at discharge was Corporal. He was a cement mason for many years with local construction companies. He helped build and enjoyed for many years his cabin in Friendship WI. After he retired he spent many winters in Florida near his son Ron. On April 17, 1951 in Crown Point Indiana he married the love of his life Betty Jane Spidle. They enjoyed over 58 years together before she passed away on July 14, 2009. After Betty was gone, being the strong man that he was, he learned to cook and take care of himself, living each day exactly the way he wanted. He is survived by daughter Vicky Bushman of Racine, son Ronald "Scott" Lock of Lantana FL, daughter-in-law Vicki Lock of Mauston WI., grandchildren Tara Lock, Laura (David) Burger, Susan Czuper, Steven Bushman, 7 great grandchildren ( Jessica, Kyle, Kevin, Kaylee, Braden, Emilee, Grant) 1 great-great granddaughter Alexis, nephews, nieces and other relatives and friends. He was preceded in death by his wife, 2 sons, Douglas and Randall, his parents and siblings, (Kathleen Sleeman, Gladys Greeley, Gordon, Leroy, Sandra Pete). Per his wishes cremation and private interment will take place.